(L-R): Mr.Jitu Virwani, Chairman and MD, Embassy Group, V.K Prasanth, Mayor of Thiruvananthapuram, Mr. Shashi Tharoor MP, Chief Minister Pinarayi Vijayan, Prof. Lorenz Reibling, Chairman and Founding Partner, Taurus and Mr. Sunil Kumar, MD, Asset Homes at the Downtown Trivandrum inaugural function. 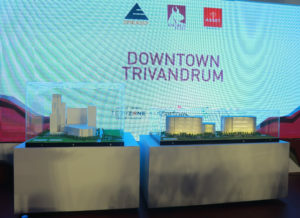 Taurus Investment Holdings along with India’s leading office space builder Embassy group and Kerala’s leading residential space builder Asset Homes embarked its first investment in India by launching their landmark project named “Downtown Trivandrum” at the heart of Technopark, Trivandrum. The launching ceremony was inaugurated by the Chief Minister Shri. 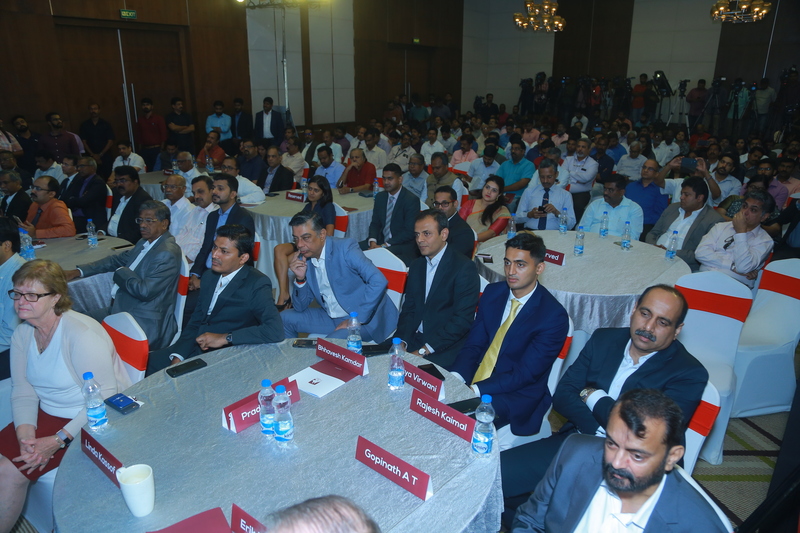 Pinarayi Vijayan on 12th October 2018 in the presence of Shri.Shashi Tharoor MP, Prof. Lorenz Reibling – Chairman and Founding Partner, Taurus Investment Holdings, Mr.Jitu Virwani, Chairman and MD, Embassy Group and Mr. Sunil Kumar, Managing Director of Asset Homes. A miniature 3D model of the project was also unveiled on the occasion. While officially launching the project, Chief Minister Pinarayi Vijayan said that the state government is laying its developmental thrust on knowledge-based industries. “Ever since the government came to power, every effort has been ensured in creating world-class facilities by upgrading its capacities, setting up global industries and attracting fresh talent. The arrival of major tech giants is a positive sign and Taurus neatly fits into these larger schemes of things”, he said. The project is estimated to bring in US $ 200 million (almost Rs.1500 crore) of Foreign Direct Investment to Kerala. Downtown Trivandrum is a mixed-use project with 55 lakhs sq.ft of built-up space in 19.73 acres of land located within Phase 3 of Technopark. 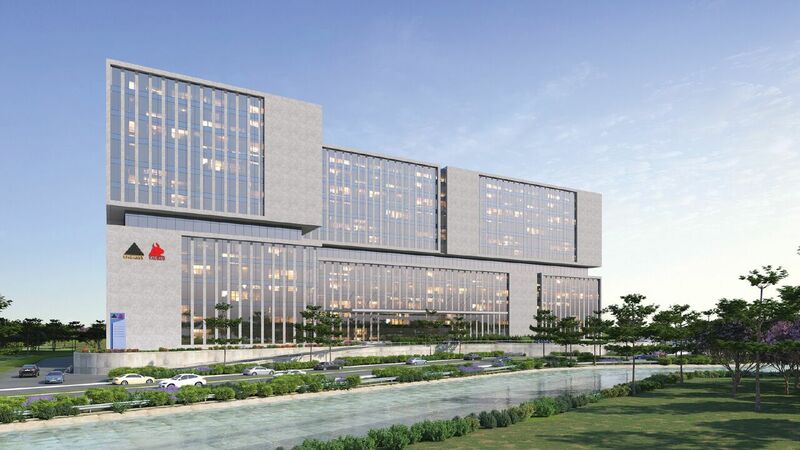 The project will consist of Embassy Taurus TechZone, Trivandrum – a state-of-the-art office complex encompassing 33 lakh sq.ft of collaborative and healthy workspaces, Taurus Zentrum, Trivandrum – a 12 lakh sq.ft world-class, retail and entertainment centre, Asset Taurus Identity– 315 units of serviced residences and a 200 key Business Hotel. Mr. Shashi Tharoor, Member of Parliament, Thiruvananthapuram expressed great happiness on the project becoming a reality.“The future of the state’s development lies in the IT field, in the knowledge industry, and in the kinds of environmentally friendly things, like tourism and wellness, which are both subsets of the knowledge industry. When the big companies come, they’ll need more office space which indeed this project hopes to provide” said Mr. Tharoor. Downtown Trivandrum comprises a Special Economic Zone(SEZ) and a non-SEZ. Out of the 19.73 acres, 9.73 acres comes under Special Economic Zone(SEZ) and 10 acres under non-SEZ. The project on completion is expected to create 30,000 plus direct jobs and 70,000 plus indirect jobs. Prof. Lorenz Reibling, Chairman of Taurus emphasized how the DNA of the company was international and primarily based on the accumulation of IQ and not only assets.”There are of course intelligent people in all countries and continents, but few show such promising signs of dominating the future marketplace of IQ, and indirectly of AI, as India. For me and my colleagues, India is a great inspiration and we are thankful that we can contribute to this rising star among the Asian nations.” he said. The Embassy Taurus TechZone(ETTZ) coming up in Downtown Trivandrum marks the collaboration of Taurus Investment Holdings and leading SEZ-developer Embassy group. The ETTZ extends up to 30 lakh sq.ft of SEZ office space and 3 lakh sq.ft of non-SEZ office space. Embassy has a large legacy of dealing with real estate development, with a track record of over three decades. A pioneer in developing integrated office parks, it has delivered 30 million square ft of commercial properties. Their client network extends over IT giants like Microsoft, IBM, Yahoo, Sony, Mercedes Benz, Cognizant etc. Mr. Jitu Virwani, Chairman and Managing Director Embassy Group expressed his happiness on being part of the Downtown Trivandrum project.”It is encouraging to see the increasing interest from leading multinational technology companies in Kerala, to be a part of the Embassy Taurus Tech Zone. The highly sustainable and smart district environment will help create several job opportunities and build a large community; our coworking space WeWork will also bring in vibrant workspaces for entrepreneurs and startup companies” he said. Co-working spaces are gaining popularity all over the world. These spaces let people of different walks of life work together under a common workspace. The practice of working in small groups within a roundtable has indeed replaced the old school concept of renting out expensive office spaces. Coworking spaces have brought in a new work culture to the city where people can work, learn, network and upskill under a common platform. And this is where the presence of WeWork, the world’s largest coworking service provider; who indeed popularized the coworking concept turns relevant. These coworking giants have a large legacy of renting out and managing office spaces of prominent companies including that of Facebook and Amazon. WeWork will be setting up their facility at ETTZ. Apart from tech jobs, Taurus Zentrum- the retail and entertainment centre coming up at the non-SEZ will pave way for a major cultural shift by providing world-class infrastructural facilities thereby integrating work and leisure at different levels. 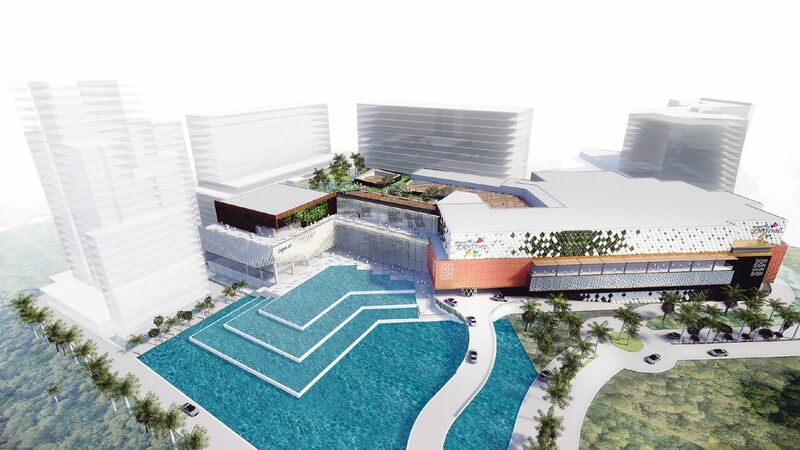 Zentrum will bring in abundant possibilities to the city’s retail and entertainment landscape. Mexico based cineplex major “Cinepolis” will set up Kerala’s largest multiplex with 15 cinema screens in Zentrum, including the state’s first IMAX screen. IMAX stands for Image Maximum, that remasters picture and sound quality into crystal clear images and powerful audio, that offers the audience a whole new cinematic experience. Also, its good news for movie lovers around the city as the multiplex- when once completed would be one of the venues that host the annual film festival named International Film Festival of Kerala(IFFK) held each year in Trivandrum. The non-SEZ will also host a 200 key Business hotel and Asset Taurus Identity- that comprises 315 units of serviced apartments. 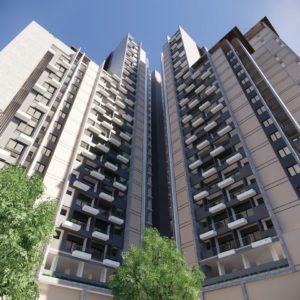 The project that is jointly developed by Asset Homes and Taurus; will have “selfie” apartments of 100 sq.ft and “selfie plus” apartments of 300 sq.ft respectively. These serviced apartments will enable access to quality housing for bachelor tech employees at Technopark. Mr. Sunil Kumar, Managing Director of Asset Homes believes that these serviced apartments will play a perfect match to the SEZ and retail components of Taurus Downtown. “Live-work-play is a key element for the success of knowledge ecosystems worldwide and we are bringing this concept to Trivandrum through our partnership with Taurus. We believe Asset Taurus Identity serviced residences will be an important catalyst for attracting high-value talent pool to Trivandrum by providing quality living spaces within Taurus Downtown,” he said. 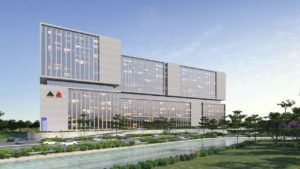 Though the first phase of the SEZ office buildings will be completed in 2020, companies would be able to kick-start their operations in ETTZ by early next year. Keystone, a first-of-its-kind in Kerala, prefabricated, incubation space facility with a built-up area of 62,500 sq.ft would be provided to companies that have signed up for space in ETTZ. 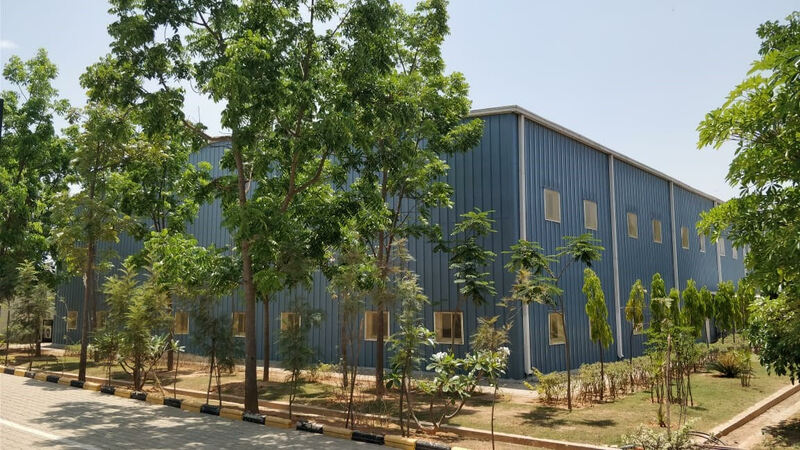 With 800 estimated seats on two floors, the ETTZ will start meeting the space needs to technology firms by March 2019. All components of the project will conform to the highest standards of sustainability and will feature extensive use of smart-city technology including AI and IoT elements. 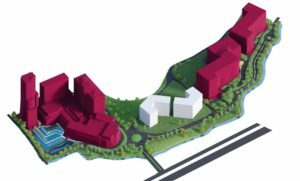 Preliminary work, including test piling, is already underway and construction work is expected to start by the first week of November with an expected completion date in mid-2020. 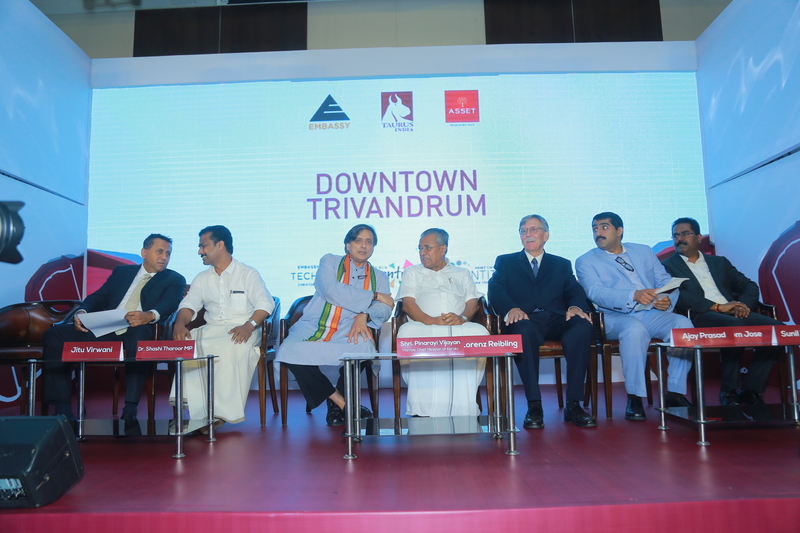 Downtown Trivandrum would play a great role in shaping the future of Trivandrum. It would indeed act as a catalyst in attracting more companies to the city in the future; thereby changing the outlook of Trivandrum.